You can access content in Zunos by simply tapping Content Views or the Content/Resources shortcut. Note: The title of the content shortcut icon can vary depending on your account configuration. After you have familiarized yourself with the content and you can see that there is a quiz attached by the banner at the bottom of the screen, simply tap on the banner to open and start the quiz. 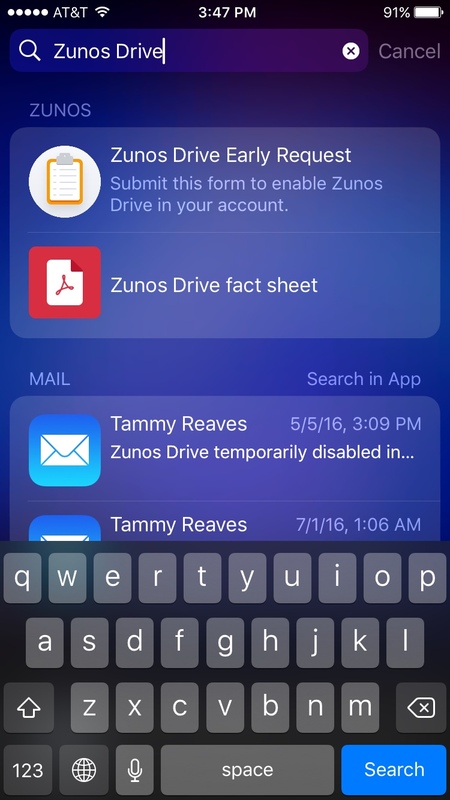 Users can also search for Zunos Content in the iOS Search field. Type in the search field the first few letters of the Zunos content, or quizzes and a list should appear.